According to demographic data released Thursday by the U.S. Census Bureau, 55.2 percent of Texas' 2011 population was of a race other than non-Hispanic white, making it one of five "minority-majority" states in the nation. 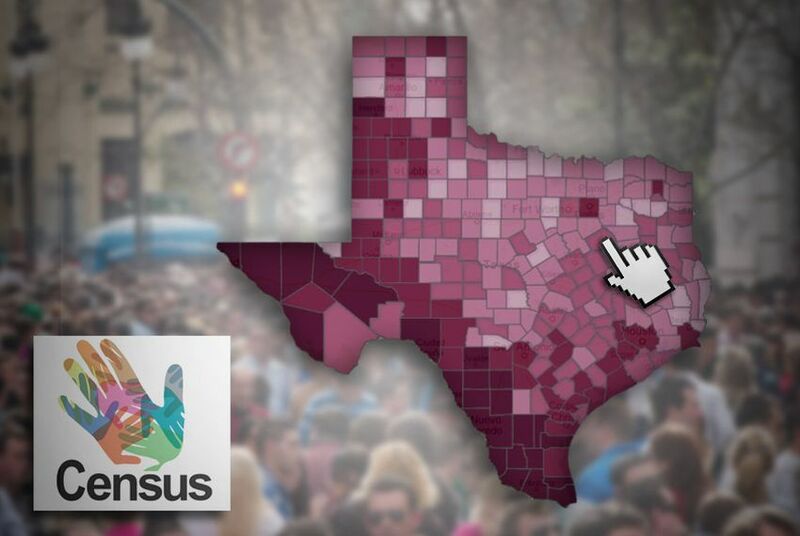 More than half of the 2011 Texas population, 55.2 percent, was of a race other than non-Hispanic white, according to demographic data released Thursday by the U.S. Census Bureau. That makes Texas one of five "minority-majority" states in the country. The release of new population estimates reveals that trend will continue to spread nationally, as 50.1 percent of babies younger than one in 2011 were a minority race. Of all counties in the nation, Maverick County (Eagle Pass) and Webb County (Laredo) had the highest and second-highest percentage of minority populations in 2011 at 96.9 percent and 96.4 percent, respectively, according to the census data. Although Los Angeles County in California had the largest Hispanic population, Texas' Starr County, which lies along the border with Mexico, had the highest percent of Hispanics at 95.7 percent.